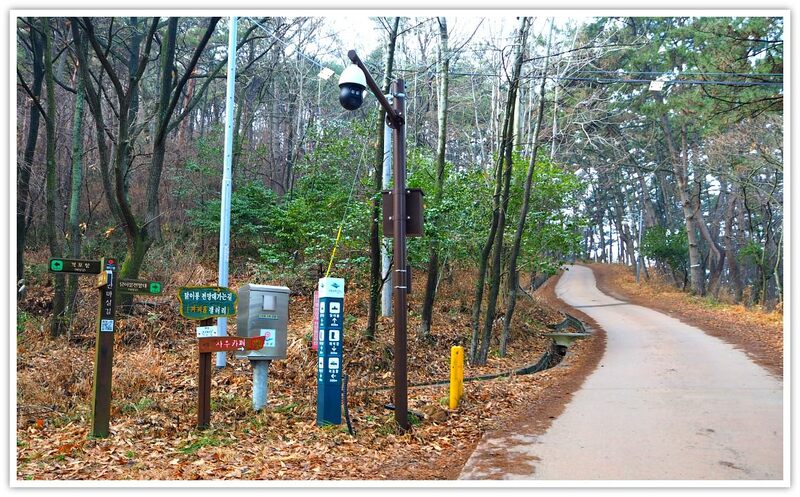 Dakibong Peak Observatory is a strategic peak located in Gyeokpo-ri. It is where you can enjoy a fantastic panorama of its surroundings. 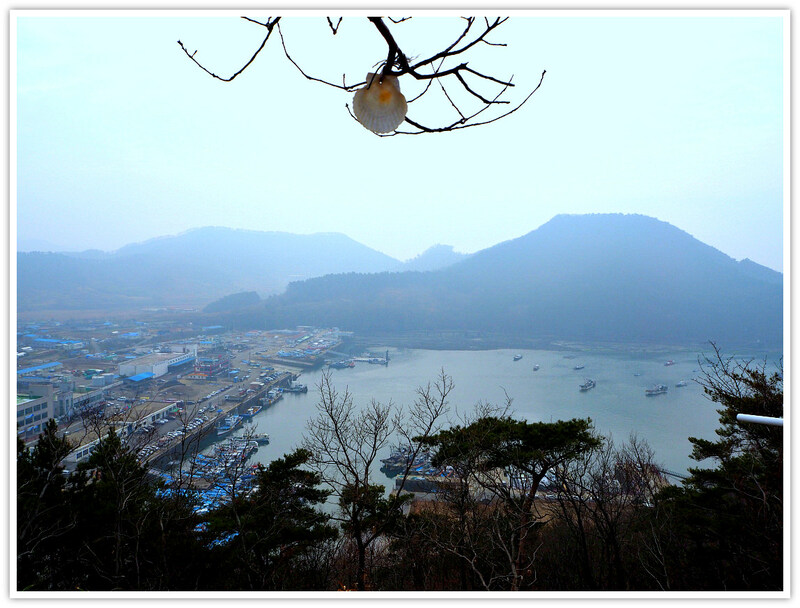 This peak is sitting beside the small but busy port of Gyeokpo. This should be your first destination to have a glimpse of that West Coast before hiking. From the top, you will see the Gyeokpo Port and Gyeokpo-ri where hotels, restaurants, entertainment business, 24-hour shops, Byeonsanbando National Park local office, among others, are quite visible. Yes, it was really a satisfying experience for me to see the surroundings of Gyeokpo-ri from the deck. Looking towards Gyeokpo Port, I enjoyed the movements of the fishing boats, the market area, and restaurants by the port. To the right side of the port, you will find another larger peak called Bonghwabong (peak). I imagined how the park would look like from its peak. But certainly, it is a nice sight looking from Dakibong Peak Observatory. 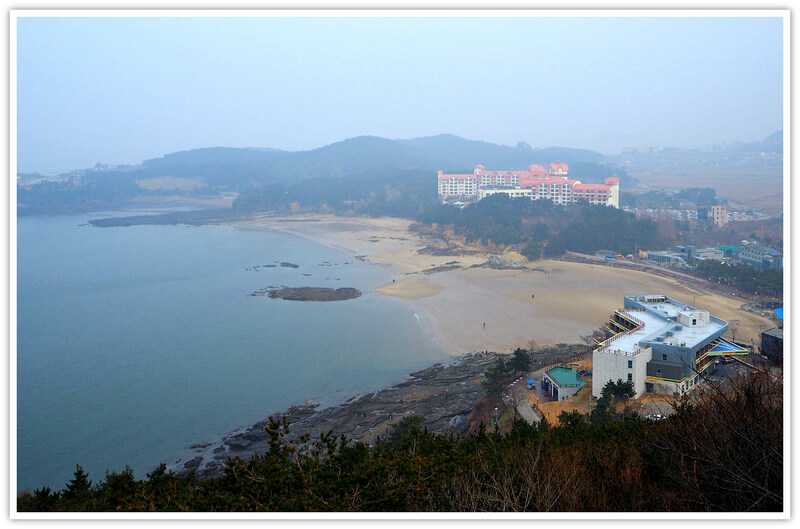 Then looking towards the further right, I really enjoyed the expansive view of Gyeokpo Beach Resort area. Amazing sight! I took lots of photos. In fact, I even asked another person to take one for me :) . 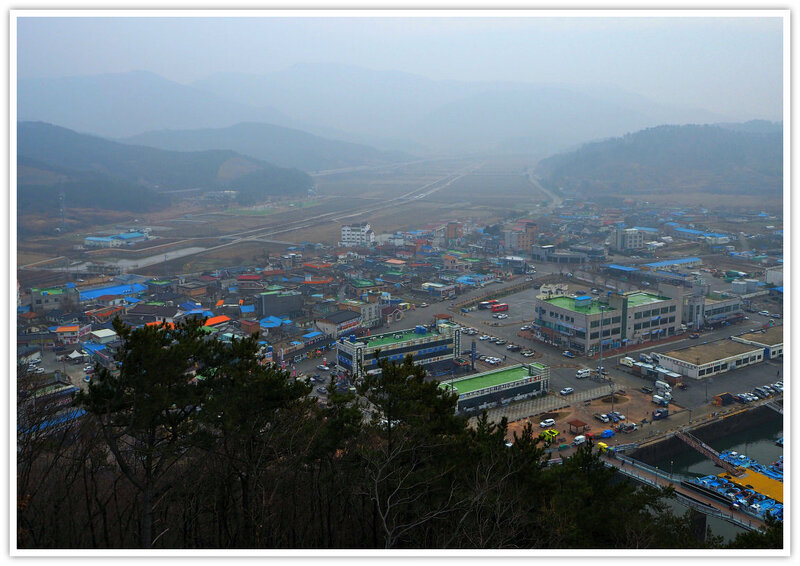 Then turning 360 degrees from Gyeokpo Port’s direction, you will see the endless sight of Byeonsanbando’s mountain range. I wish I could hike some of them, but it seems that time was not on my side. Surprisingly, I did actually hike some of them. That was when I decided to explore Jikso Pokpo (waterfalls). I did not regret with my decision because the park’s views are entirely majestic of up there. It has limited space for parking since the peak is small. 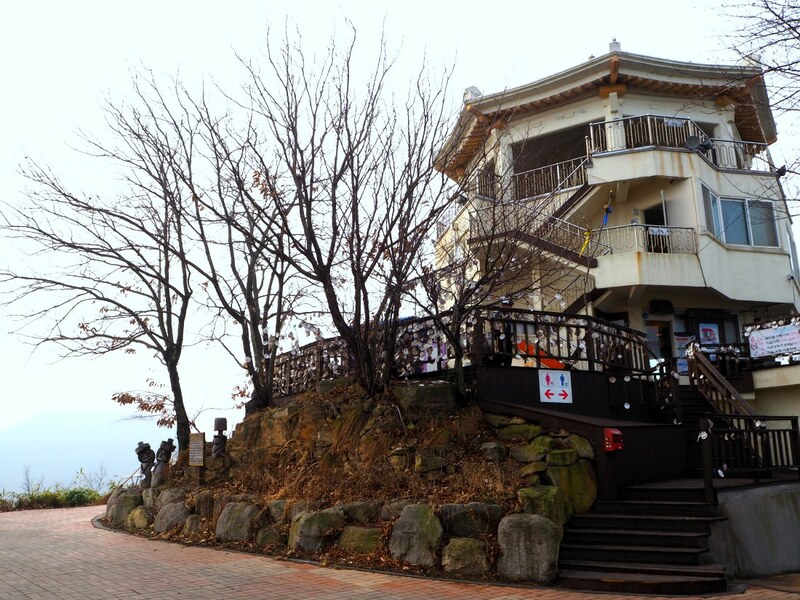 Of course, you can park your vehicle below the summit, or leave it nearby your hotel—assuming you are staying in one of the accommodations at Gyeokpo-ri. Yes, the observatory offers some hot and cold drinks. The coffee shop is I guess, being managed by the in-charge of the observatory itself. A comfortable place to be, to relax and enjoy the company of friends or family. 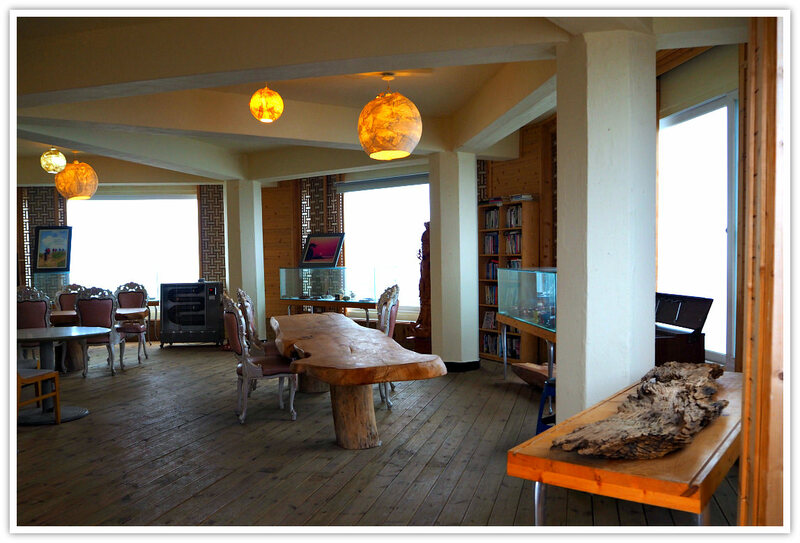 You may also use the seats and tables outside the coffee shop where you have a fantastic view of the sea and beach area of Gyeokpo Beach nearby. You can head to this beach after your hike: don’t miss it! The museum displays some materials relevant to the area, such as sample collections of preserved seashells, among others. It is a simple museum with limited displays, by the way. At the observatory deck, the level above the museum, you will find photos with some explanations about the importance of the park—the geosites. As an introduction, the geosites are rock layers, under study, which are thought to be over millions of years old — these geosites attrack tourists who are curious about such astonishing rock structures and formations. Getting to the top is quite easy as the ascent is not steep. Kids and very young kids can walk up the concrete road. From Gyeokpo-ri, you only need to hike a few minutes in a less than a kilometer distance. I was in a hotel nearby Gyeokpo Terminal. (This terminal is where you can travel back to Buan-gun where you can take a bus travelling to other cities and provinces). From Gyeokpo Terminal, simply head towards the port. That’s easy to do: use the hexagonal shape of Dakibong Peak as your guide. Pass through an alley and then turn right where you will see steps leading you to the road for the observatory. Don’t worry—you will find it easily! Thanks for visiting and reading this page. Have an amazing journey!